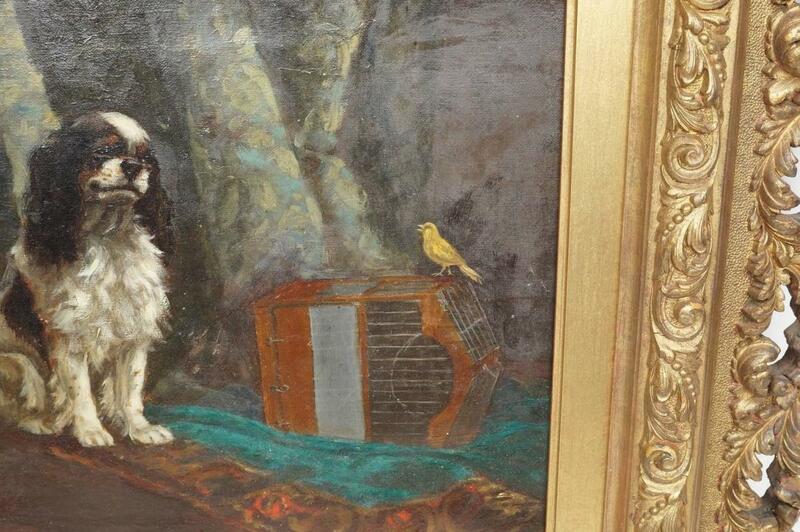 This pair of paintings attributed to William Simpson (1866-1909) depict King Charles Spaniels with a canary. 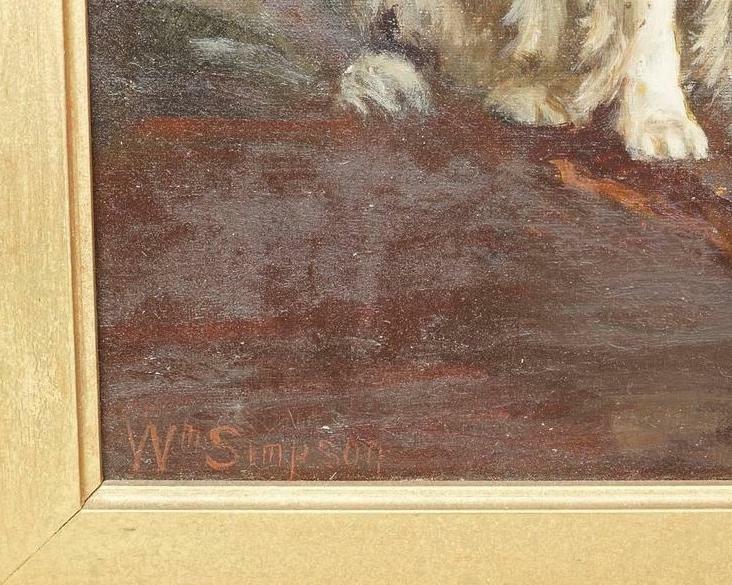 One is signed Wm Simpson in lower left and titled Cages in lower left. There are signs of inpainting along the lower left edge depicting the flooring with visible stretcher bar marks. 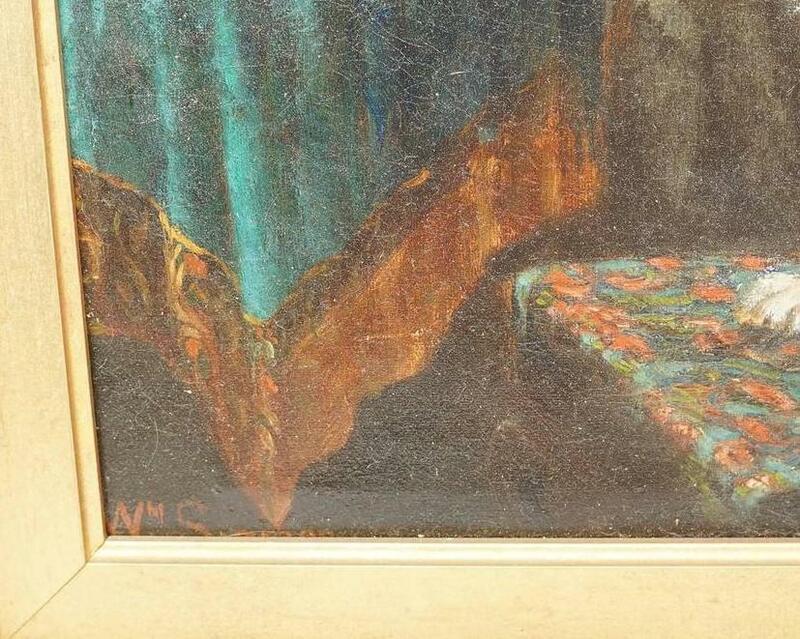 The other is signed in the same manner and titled Released in lower right. There is some inpainting in the upper miiddle/right area depicting the curtains, and in the lower right corner the title's been reinforced with additional inpainting in the lower left area over the floor/rug. Each canvas on verso carries the stamp of Winsor & Newton, London, the art supply shop founded in 1832 which is still in business today. One carries the certificate with description from Arthur Stewart, an art dealer based in St. Albans, a town in the county of Hertfordshire just north of London, active in the mid-twentieth century. 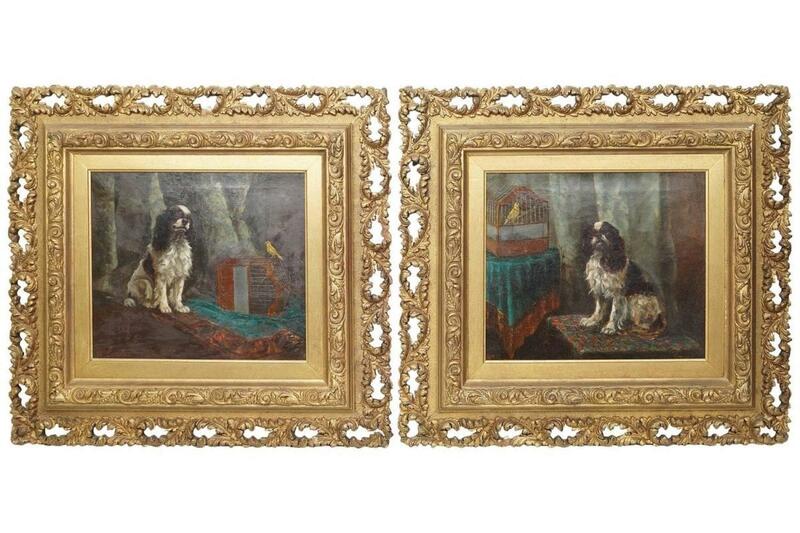 Period frames measure 11 x 13 x 2 in (28 c 33 x 5 cm) and have losses and signs of restoration, all consistent with age. Additional images forwarded upon request. 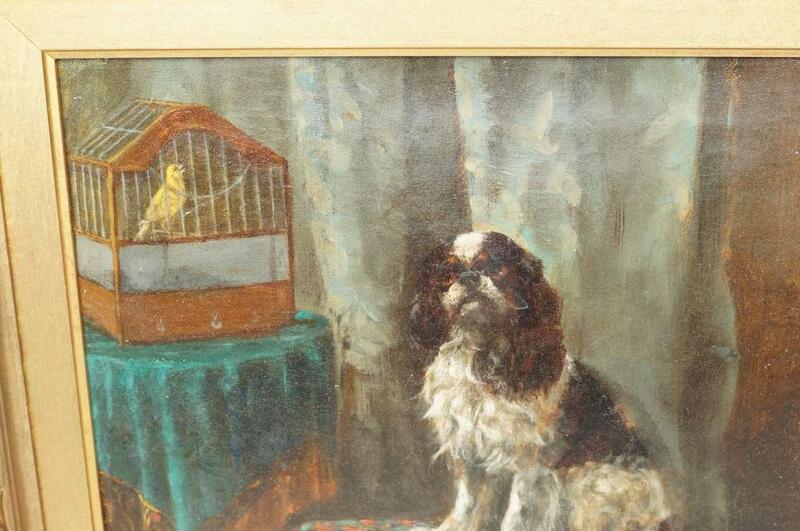 Items Similar To "Pair William Simpson (1866-1909) Oil Paintings of King Charles Sp..."